I want to share some my thoughts about ladies event at the US Nationals 2016. As I’m not American, I don’t have any personal interest that can affect a lot my opinion or my impression from one or another skater. So, you can call it an independent foreign opinion from a viewer who just loves figure skating. What can I say? Mostly, girls disappointed me. And I’ll try to explain why. I’ll start with Mariah Bell. I really expected more from her. 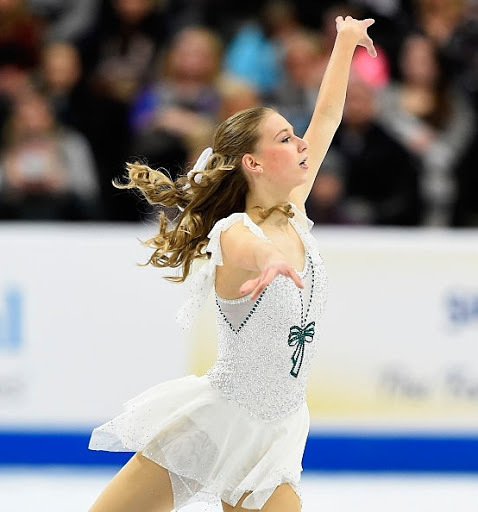 I consider Mariah as a promising skater that has lots of potential. What happened to her? Injury? Health problems? Just nerves? She looks beautiful on the ice, she can do interesting choreography but she is not a fighter. Unfortunately. Her jumps look shaky, like she is hesitating “to do or not to do”, she definitely needs more speed going into the jumps, all her landings were tough and without flow. And about programs. As I said Mariah can do interesting choreography and she has a nice body lines. But both her programs look like they’ve been made from the parts that didn’t get into Jason Brown’s programs. Come on, this girl deserves more individuality! After such a successful results at NHK Trophy I also expected a lot from Courtney Hicks. Her short program at Nationals was disastrous. But I like the program itself. The music suits Courtney, and it helps to grab the attention of the audience. The best part of her free program was a change of the dress. That her previous yellow dress will chase me in nightmares. The new one is lovely and sky-blue color looks great with her red hair. But again the half of the program was pretty bad. Courtney, your jumps is your thing, your only thing actually. So, you can’t afford to underrotate, pop or fall on jumps if you want to be on top! What I like about Karen Chen is that she’s a performer! She skates emotionally, with speed and power and plus she has musicality and she’s expressive. She sells the program even with unsuccessful jumps, even when it’s a catastrophe with jumps she continues to sell the program. It’s a huge advantage. I think Karen has a potential to become a diva on ice. I really hope that she will. That’s why her inconsistency worries me. She’s growing up, and changing and I had a bad feeling that her body type will be similar to Nagasu….and it can be a problem. She needs to be really careful with her diet and shape. Tyler Pierce was a surprise in the top-three after the sharp program. She has a lovely short program by the way. It was her moment! And she was so happy after every successfully executed jump ( She has good jumps, with great height!) I also like her blue dress with a silver sequins, classical and elegant. 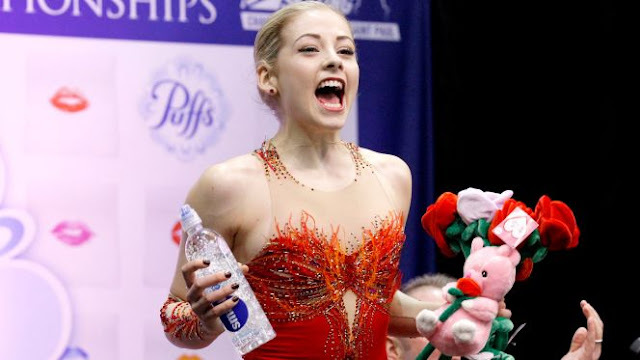 But this shade of lipstick…..))) Tyler also did a good free program and anyway her result at Nationals it’s a great achievement. She just not yet at the same league with those 4 girls ho placed ahead her. Tyler needs to work on her second mark, especially in the free program (it seemed a bit empty), she need to add more speed and more transitions. But in general, good job. 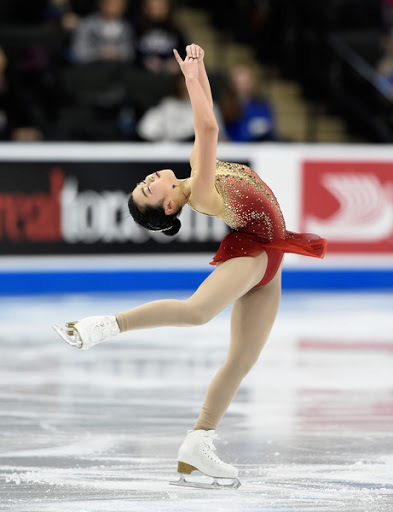 Mirai Nagasu has everything to be in National team. She has pretty good technique, her spins can be just amazing and she’s a performer. 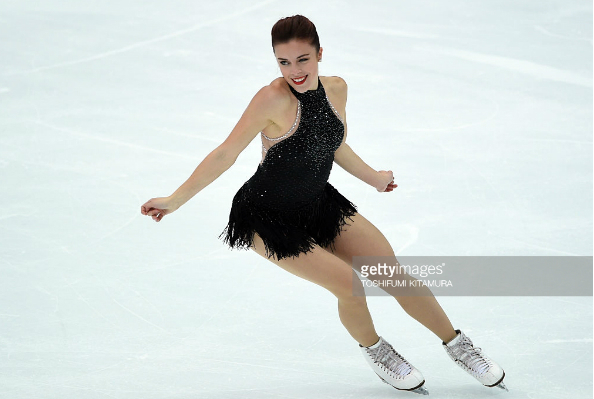 But she can’t put it all together( Looking at her performances I don’t see that she gives everything she has…..her skating looks I’d say like a compromise. Even in programs….ok you wanted something modern and popular….the vocals allowed now but you won’t pick up just any song you liked for your program, right? 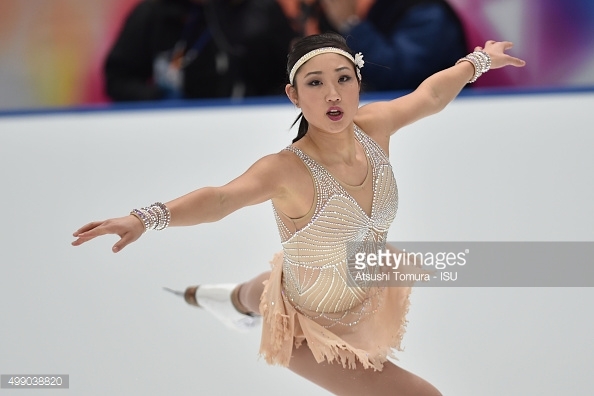 In her sp the music, the choreography and the costume like from three completely different programs! The same thing with the free program. All the music from new Gatsby movie has nothing to do with that epoch…that’s why it’s almost impossible to make a good atmospheric program to this music cut, so it wouldn’t look like a disco. I think Mirai needs to think what she wants from skating…. From one side I need to congratulate Gracie with the victory and with a great skate in the free program. But from the other side congratulate with what? Another bad short program and then a heroic come back in the free? I doubt that such trick will work at Worlds even thou it will be in Boston. Before she was doubling the flip, now she popped the lutz and the combination turned out only 3-2. If Gracie wants a medal at home World Championships she need two clean skates. And I’m afraid that she knows that she can get it, and maybe wants it so badly, so, it affects her skating a lot. And that is why I think that it’s wise to go to Four Continents and there have another rehearsal before the Worlds. For whom I really happy are Shibutanis. Did the revolution in American ice dance happen?